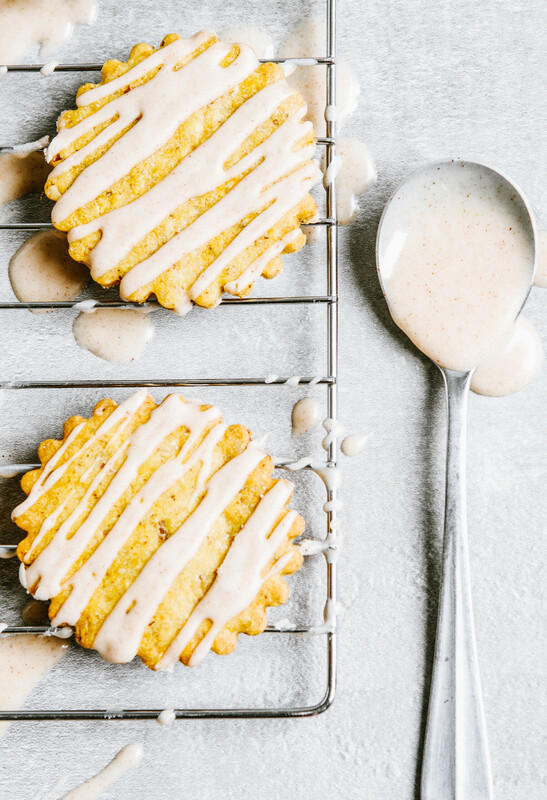 These Pumpkin-Pecan Cookies are tender, and lightly sweetened with a wonderfully nutty note. 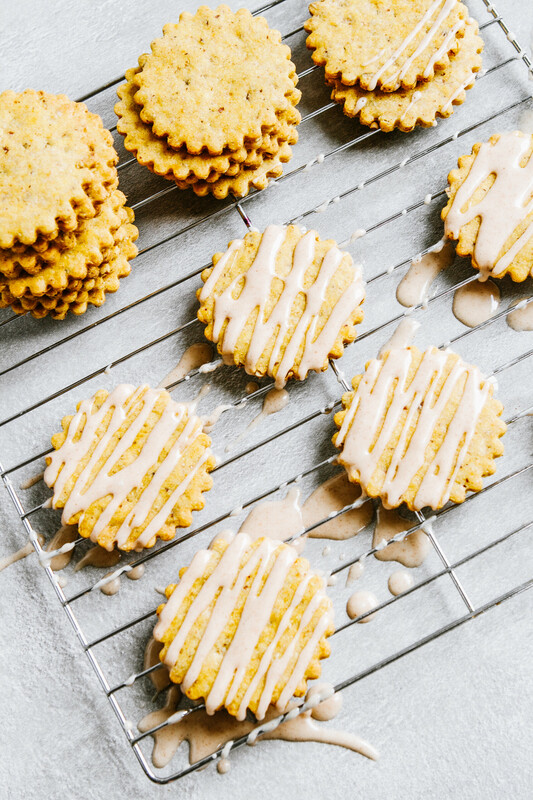 Made with a pumpkin paste and seasoned with cinnamon, nutmeg, and ginger, these pumpkin cookies are the perfect fall treat. Pumpkin, you want to love it, you want to cook with it, you want to bake with it, you want to add it to everything this time of year. The problem is, it just doesn’t taste like much, ya know? Pumpkin pancakes, yes, sounds delicious, but in reality they’re often lackluster in flavor and no matter how long they stay on the griddle, they never seem to get that crisp exterior. The challenging part of cooking with pumpkin stems from its high water content and mild flavor, which means a lot of coaxing is needed for a little umph. That’s where some kitchen technique comes in. Cooking pumpkin over the stove-top does wonders for concentrating the flavor of pumpkin, but gives it a toasty, cooked flavor that’s great for pumpkin pie but not so much a delicate cookie. 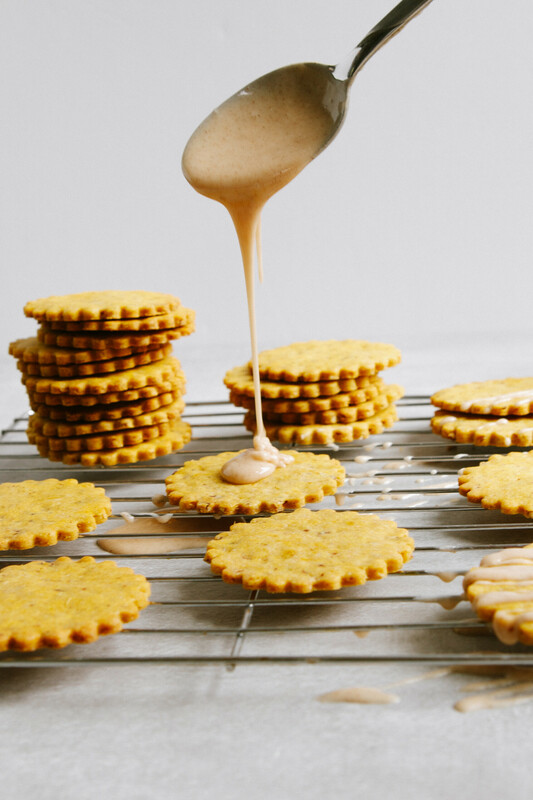 America’s Test Kitchen came up with a gentler technique that works just as well for concentrating the pumpkin, while maintaining the integrity of it subtle flavor. 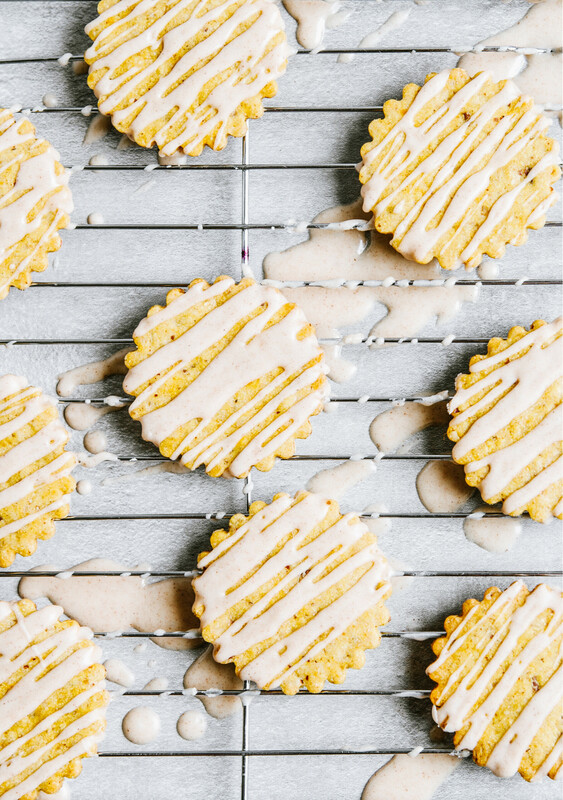 Try to add pumpkin puree to cookies, and they’ll usually come out cakey and muffin-like. That’s because pumpkin puree is laden with water. 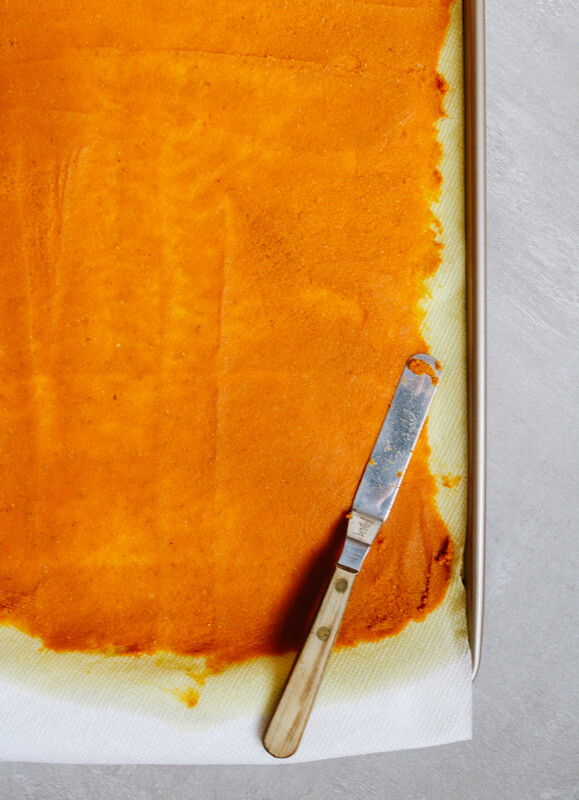 And when pumpkin treats hit the oven, that extra moisture turns into steam and provides cakey lift. 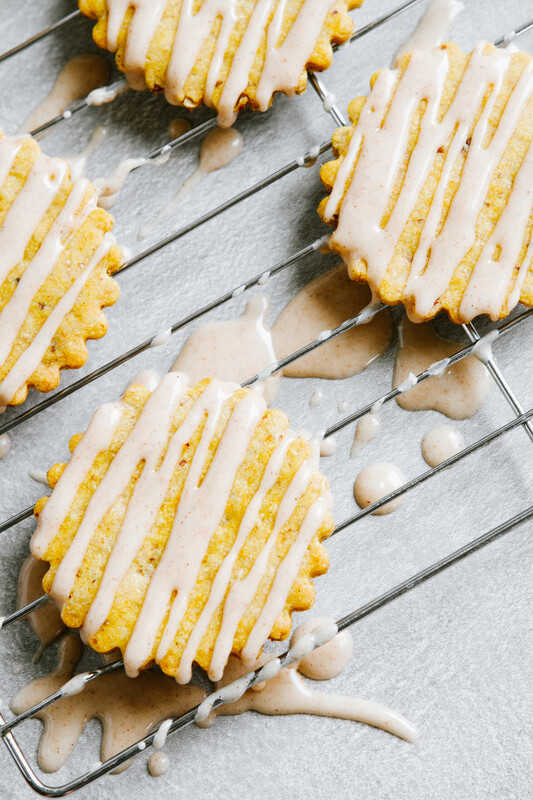 That’s not necessarily a bad thing, but we wished for a pumpkin cookie that wasn’t like the rest—one that was thin, crisp, and shortbread-like and baked up with a flat surface that we could coat with a flavorful glaze. 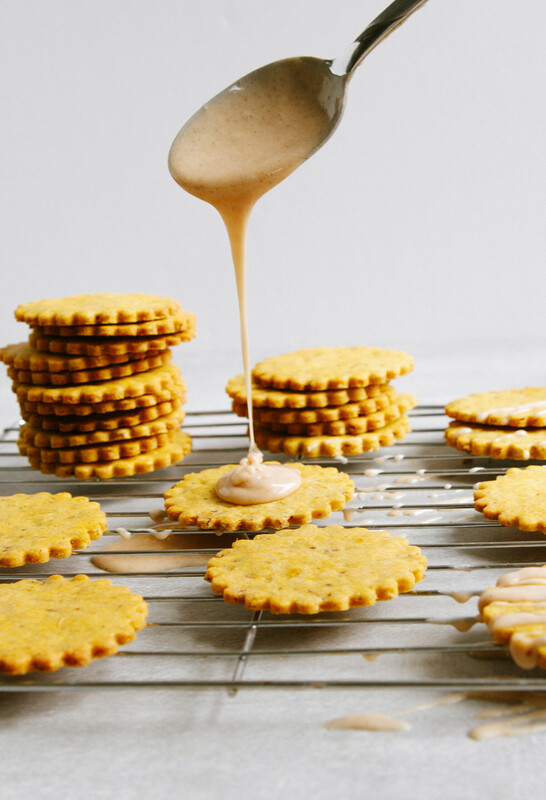 For a cookie with the texture we sought, we needed to remove as much moisture as possible from the puree. We tried reducing it on the stove top, but the cooked flavor was too pronounced. To remove moisture without heat, we developed a unique method of spreading the canned puree thin on the underside of a baking and soaking up moisture with paper towels until 1 cup of puree reduced all the way down to ⅓ cup. Adding this paste to the dough resulted in a fine crumb once the cookies we baked.
. This book is an incredible guide to everything cookie or bar related. 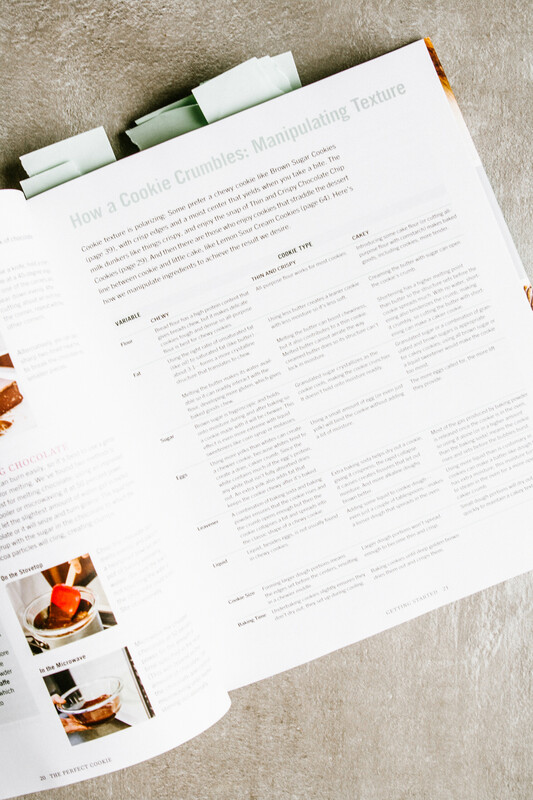 From how to procure and measure ingredients, to why certain fats and sugars result in different textures and types of cookies. They even have a section devoted to gluten-free cookie baking. 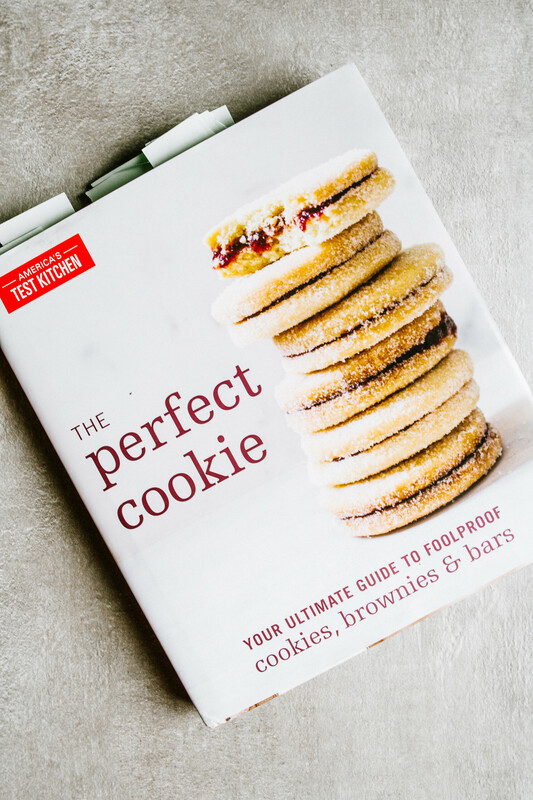 From start to finish, America’s Test Kitchen really thought of it all when it comes to cookie baking (but, what’s new?). It’s safe to say that this book will probably be on the annual Zestful Kitchen Holiday Cookbook Guide! 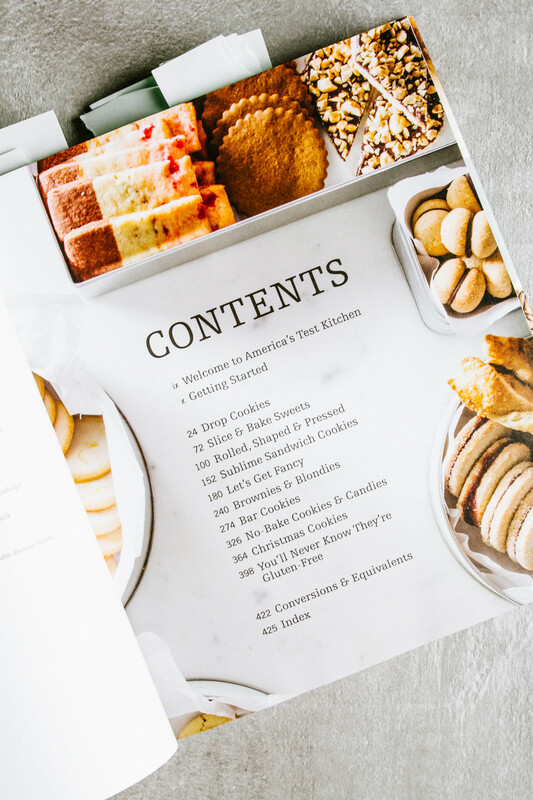 Speaking of, do you have a cookbook (or a few) that you’ve been loving this year? 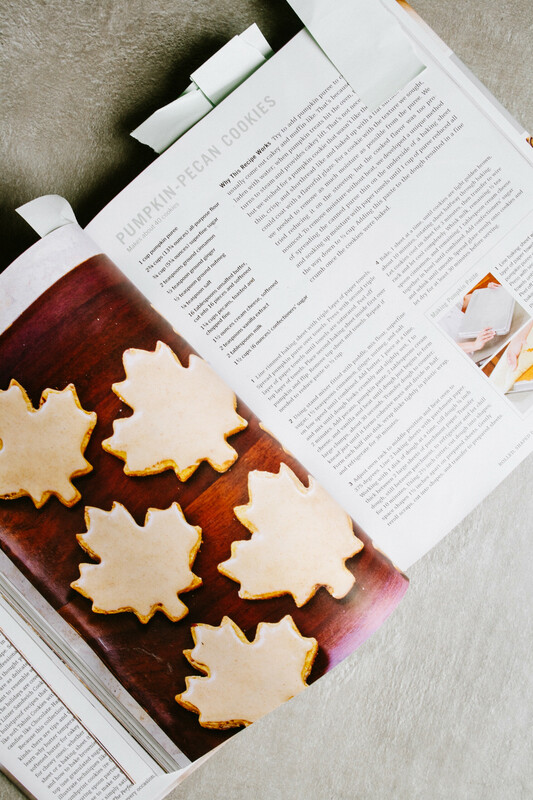 Or do you have a list of cookbooks you’ve been dying to check out? Let me know as I start my research for this year’s cookbook guide! As you can see, I flagged a lot of recipes that I want to make or put my own spin on. 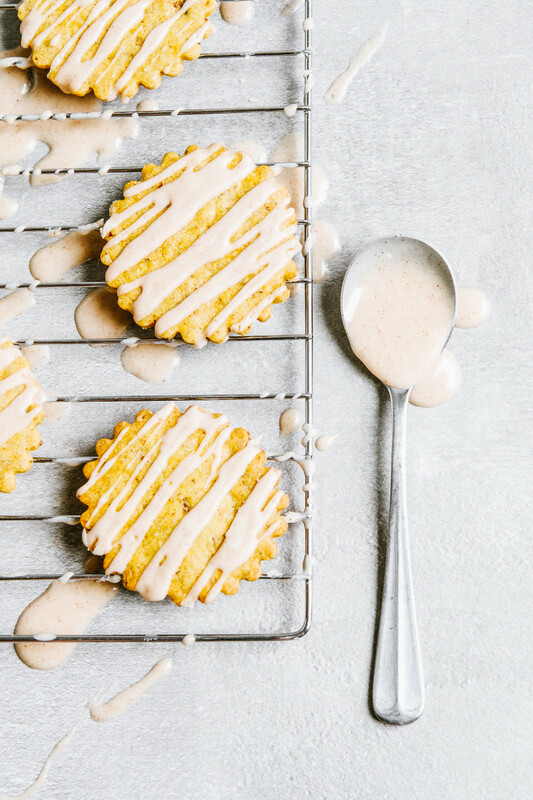 This pumpkin cookie recipe spiked my curiosity immediately for its unique pumpkin-concentrating method. Their pressing method was unlike anything I had seen before and I was curious to give it a try. 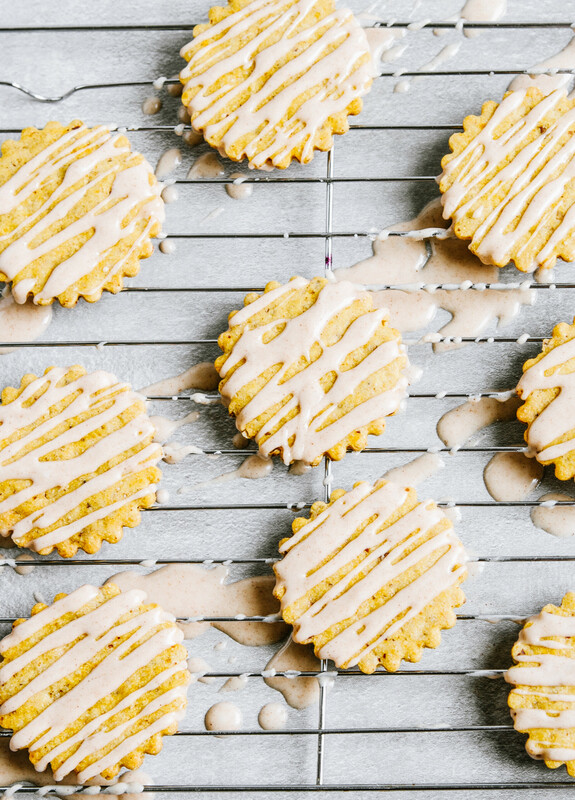 Plus, what’s more seasonal than a pumpkin cookie? Other than making the pumpkin paste (which is very easy), everything else about this recipe is pretty straightforward. In other news, Greg and I feel like we’ve been going in circles for the past year. From him moving to DSM and starting a new job, to me devoting every free moment to ZK, the purchasing and continuing renovation of a home, and the seemingly endless weddings, we’ve found ourselves falling into autopilot. We have a list of things we want to do, but an even bigger list of things we think we should be doing. And there isn’t much crossover. Yes, pursuing our side hustles are incredibly important as we push for those to eventually be our futures, but with that comes saying “no” to many non-career-related experiences. In the past few weeks we’ve tried to make a conscious effort of stepping back to make time for the smaller things, which in hindsight are probably the big things. We hit the golf range (which I’m still sore from…damn 5 iron), have been frequenting Thursday happy hour, and have found ourselves wandering through our neighborhood only to wind up at a local pub. It’s been about a year since we’ve taken a trip just the two of us and the hankering for another trip is real. And, we loved Boston (or am I just obsessed?) but we’re thinking this next trip could be a bit bigger. Not too big though, because guess what, getting to Iceland is actually not bad at all. It’s not too far, nor too expensive, and we surprisingly know quite a few people who have recently traveled there with only good things to say. Have you been to Iceland or have any recommendations? We’d love to hear about them! Line a rimmed baking sheet with triple layer of paper towels. Spread pumpkin puree over towels. Press with second triple layer of paper towels until towels are saturated. Peel off top layer of towels. Place second baking sheet inside first over pumpkin and flip. Remove top sheet and towels. Repeat if needed to reduce past to ⅓ cup. 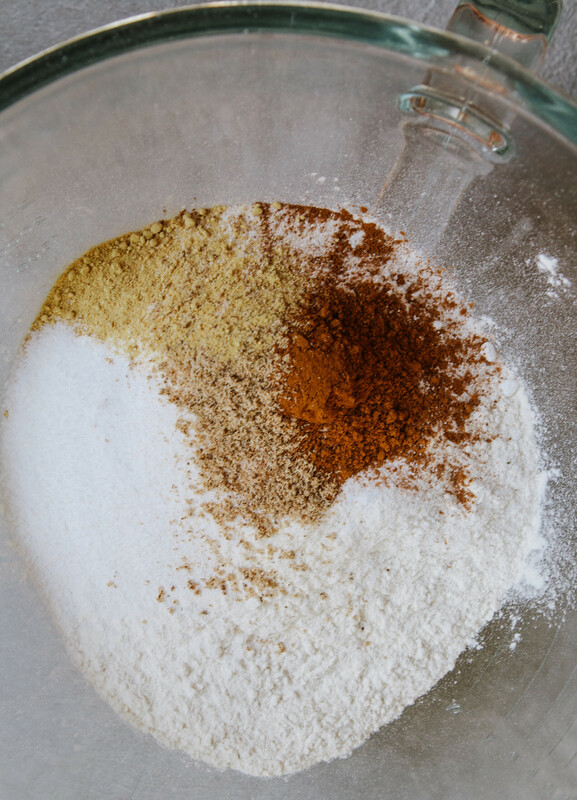 Using a stand mixer fitted with paddle, mix flour, superfine sugar, 1½ teaspoons cinnamon, ginger, nutmeg, and salt on low speed until combined. Add butter, 1 piece at a time, and mix until dough looks crumbly and slightly wet, 1 to 2 minutes. Add pecans, pumpkin paste, 2 tablespoons cream cheese, and vanilla and beat until dough just begins to form large clumps, about 30 seconds. Transfer dough to counter; knead just until it forms cohesive mass and divide in half. Form each half into disks, wrap disks tightly in plastic wrap, and refrigerate for 30 minutes. Adjust oven rack to middle position and heat oven to 375°. Line 2 baking sheets with parchment paper. Working with 1 disk at a time, roll dough to ⅛ inch thick between 2 large sheets of parchment paper. Transfer dough, still between parchment, to refrigerator and let chill for 10 minutes. 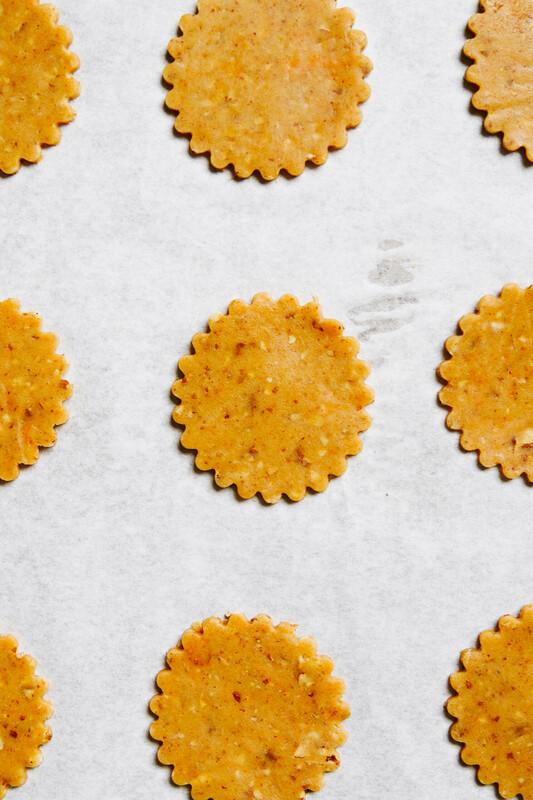 Using a 2½-inch cutter, cut dough into shapes; space shapes 1½ inches apart on prepared sheets. Gently reroll scraps, cut into shapes, and transfer to prepared sheets. 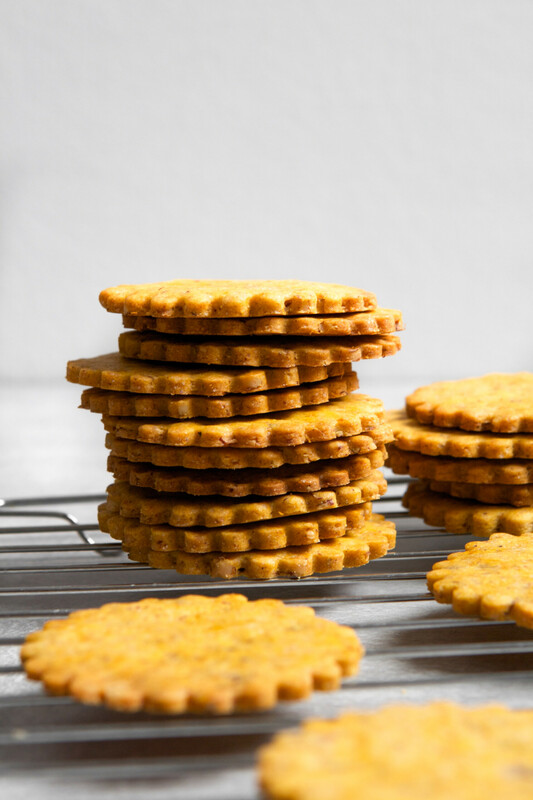 Bake 1 sheet at a time, until cookies are light golden brown, about 10 minutes, rotating sheet halfway through baking. Let cookies cool on sheet for 3 minutes, then transfer to wire rack and let cool completely. Whisk milk, remaining ½ teaspoon cinnamon, and remaining 1 tablespoon cream cheese together in a bowl until combined. Add confectioners’ sugar and whisk until smooth. 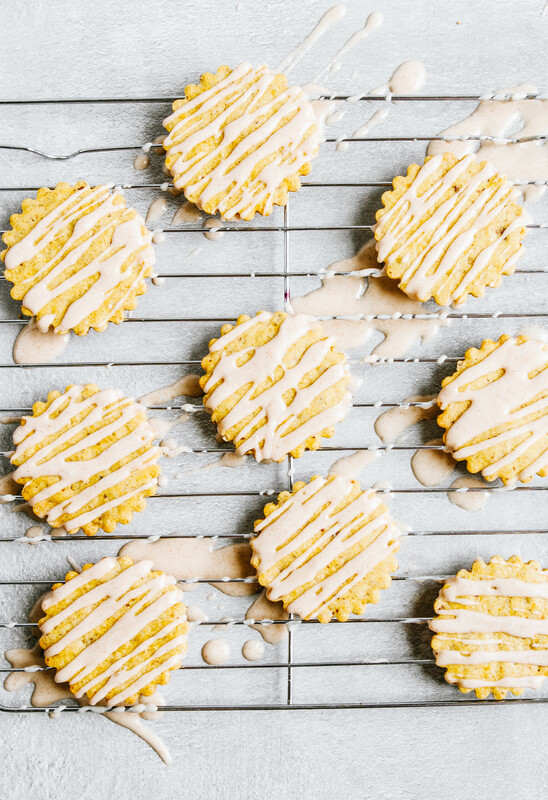 Spread glaze evenly onto cookies and let dry for at least 30 minutes before serving. 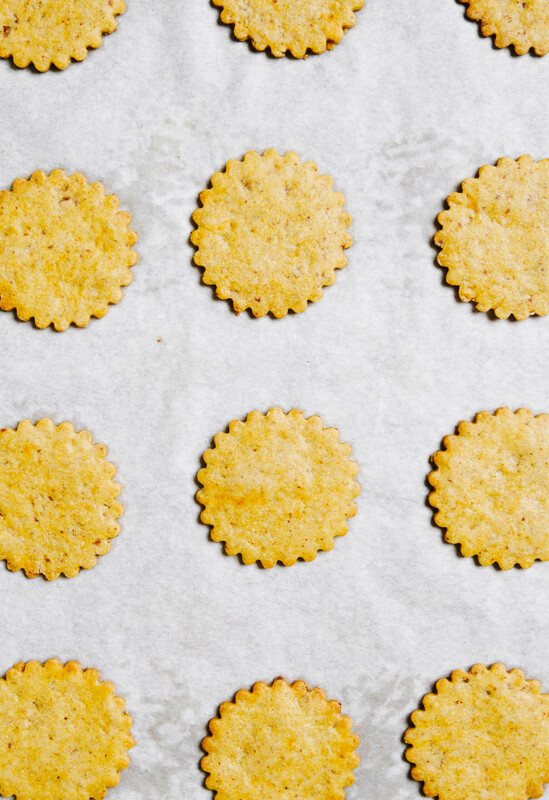 I used a 1½-inch cookie cutter and baked my cookies for 8–9 minutes. Using a smaller cookie cutter yielded about 84 cookies. I also used vanilla almond milk in the glaze for some added flavor. Thanks Rebecca! I love how ATK adds “why this recipe works”, I think it helps build knowledge for future cooking endeavors! What an interesting method to remove moisture from pumpkin! I never would have thought you would be able to remove so much water from paper towels alone- does it take a long time? I”m sure it’s well worth it for the result though- these look amazingly good! It actually didn’t take me much time, probably 5 minutes of me actively pressing on it. If you wanted to multitask, you could weigh down the top baking sheet with some heavy cans, that will do some of the pressing for you! Omg these look so yummy I’m gonna have to try making these at home, and like a bunch of other recipes you have up! Oh my heavens, this is right up my alley. These look/sound absolutely amazing. I need to make these asap. A great post and a mouthwatering recipe. Your photos are so gorgeous! Thank you for sharing the recipe! I’ll save these for our family holiday baking day! Thank you Hayley! 🙂 I hope you enjoy them! Thanks Heather! I hope the info helps! These are absolutely incredible! Thanks for a pumpkin cookie that doesn’t have a cakey texture! Now that it is fall, I can’t wait to whip up a batch! I’m so glad you like them! With this chilly weather, I may have to mix up a batch!